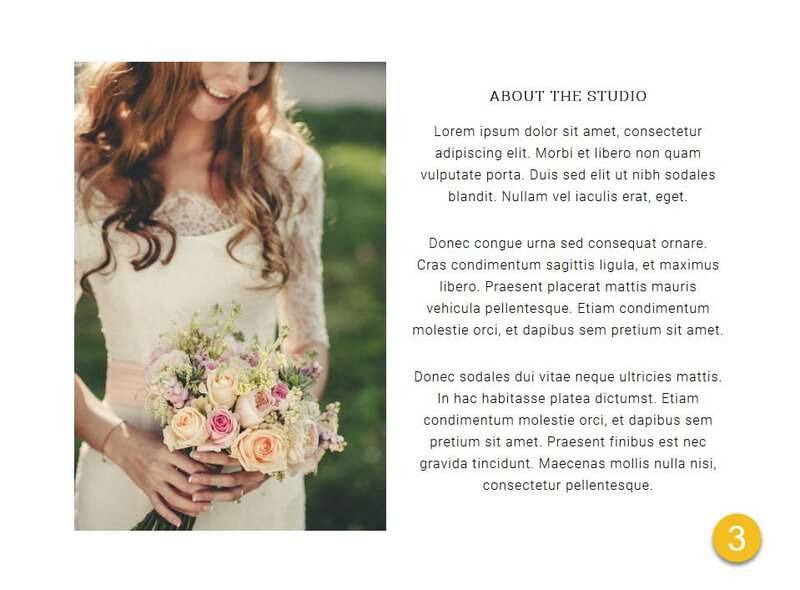 The Front Page 3 widget area in the Imagely Chic demo uses a Text widget including an image and a paragraph of text, but you may use any content you wish. 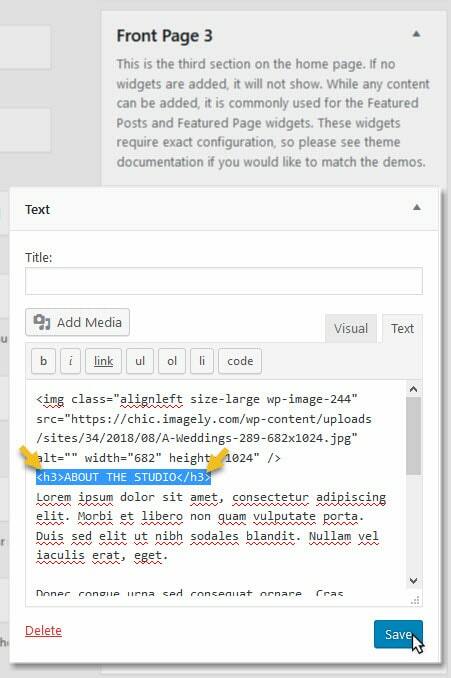 Go to Appearance > Widgets to add a Text widget to the Front Page 3 Widget area. 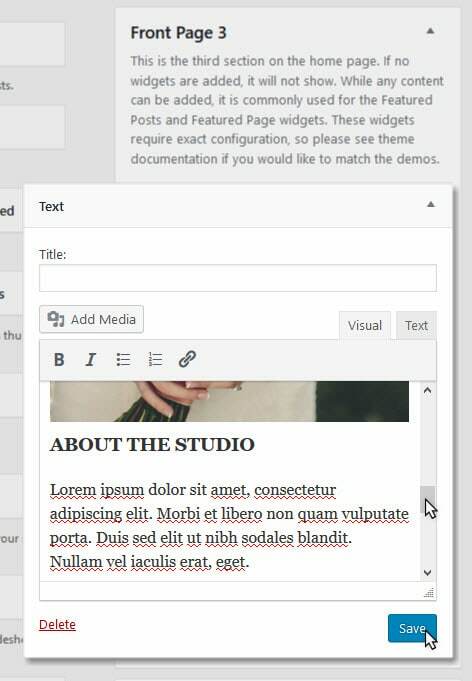 Title: Our demo does not have a title for the text widget. 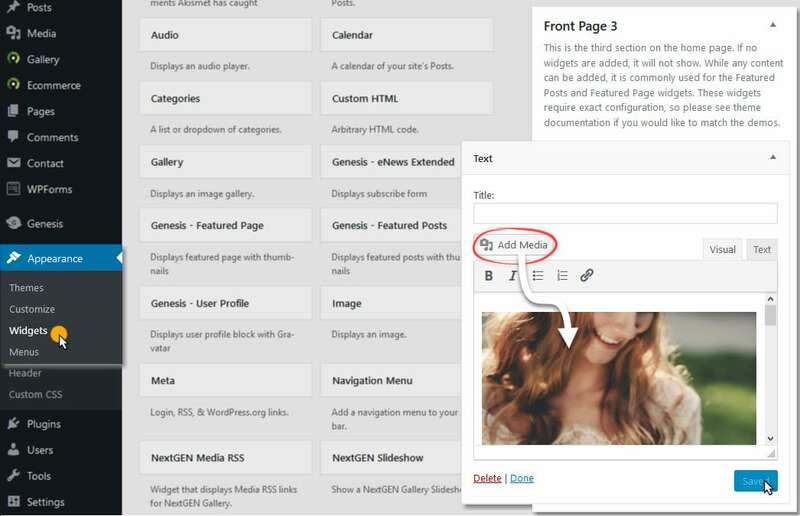 Content: Using the 'Add Media' button select/upload an image and insert it to the text editor. Scroll down and add text below the image.